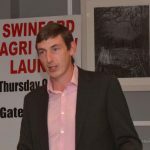 Swinford Agricultural Show Society Chairman Gerard Sheeran. 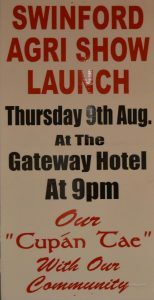 The Swinford Agricultural show Society 30th anniversary launch was held on Thursday 9th August last in the Gateway Hotel Swinford. Launching the show Gerard Sheeran show secretary thanked everyone in attendance. A special word of thanks to all the committee members, show stewards and everyone who helps out in any way on the day. There are so many people involved in the running of the show every year, it would be difficult to thank everyone individually. Apologies were received from Mrs Roseleen Horkan, show society vice-president and Cllr Michael Smyth who were unable to attend on the night. Swinford Agricultural Show Society President Stanley Black. 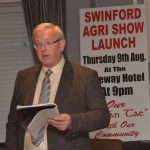 Mr Stanley Black Swinford Show Society President, gave a brief history of Swinford show. It has been 30 years since our first show, which we didn’t even have a press launch for, but the show has been going strong ever since. The common thread in the shows survival has been the perseverance and dedication of the many people involved over the years. I would like to take this opportunity to pay tribute and say thanks to each and every one of them. In particular, to remember those who sadly are no longer with us. We owe them a debt of gratitude for all their hard work down through the years. They have left a legacy, far greater than words can express. 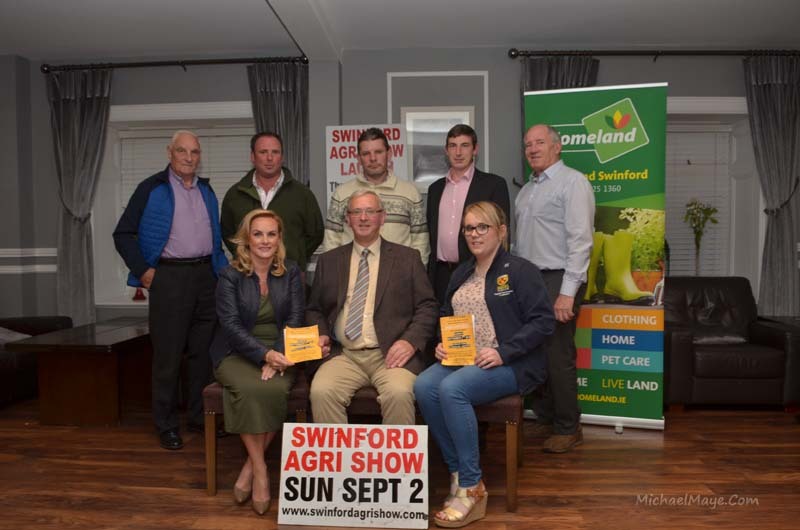 Like the “parable of the talents”, its up to us to build on their legacy and to continue to make Swinford agricultural show bigger and better. Our agricultural show is many different things to different people. This is because of the great diversity of the show. Very few other events have something to participate in, from bonny babies to glamorous grannies competitions. It is truly a community event, by the community, for the community. Last year we had minister for rural and community development Mr Michael Ring to officially launch the show. He indicated he was looking into funding for agricultural shows because of their importance as community events. This was not an idle promise! Thankfully some funding became available this year. A minister for rural and community affairs doing what a minister should do, keeping in touch and helping out the community! We had hoped to have Cllr Michael Smyth here tonight to officially launch the show, but unfortunately he was unavoidably unable to attend. Michael’s association with the show goes right back to the very first show, when his father Paddy, promised to procure and enter several lambs in targeted classes to boost the inaugural show. He duly obliged and entered 12 or 14 lambs but did not have the patience to stand and show for hours. This was where Michael came in, a young gaurseen with wild lambs held onto for dear life! This was probably Michael’s first introduction to public life! For any person young or old but particularly the youth, to get involved in a community event is great training for many other aspects of life. 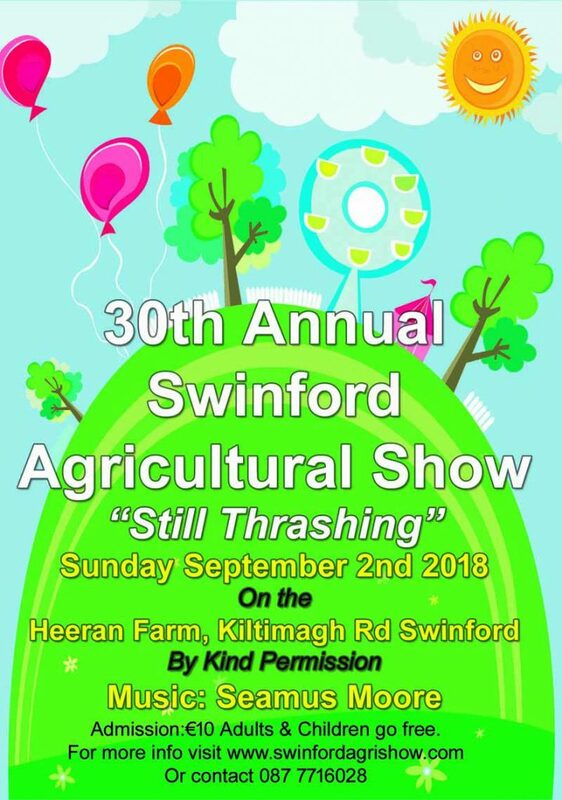 Hopefully there will be enough people to keep Swinford agricultural show going for the next 30 years and more and would sincerely like to thank everybody who has contributed in any way. 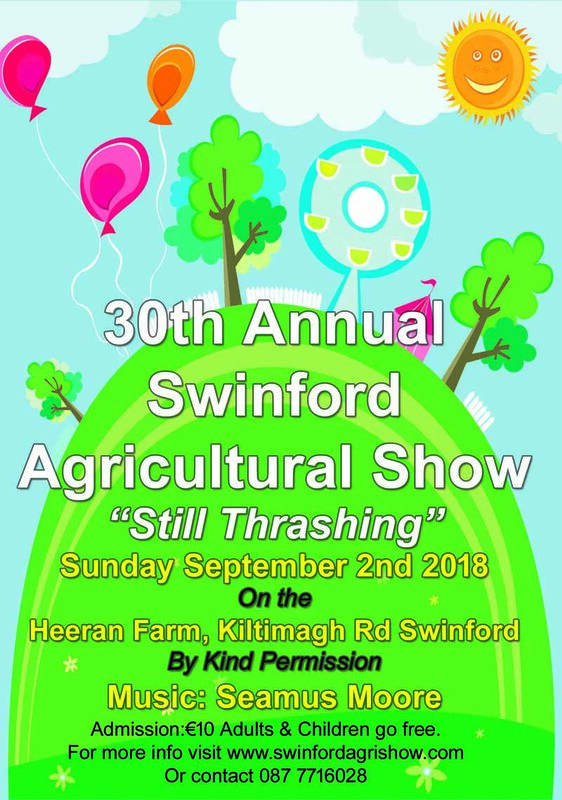 The 30th Swinford Agricultural Show takes place on Sunday the 2nd of September at Heeran’s farm on the Kiltimagh road. Lots of entertainment for both adults and children. Music on the day by Seamus Moore.